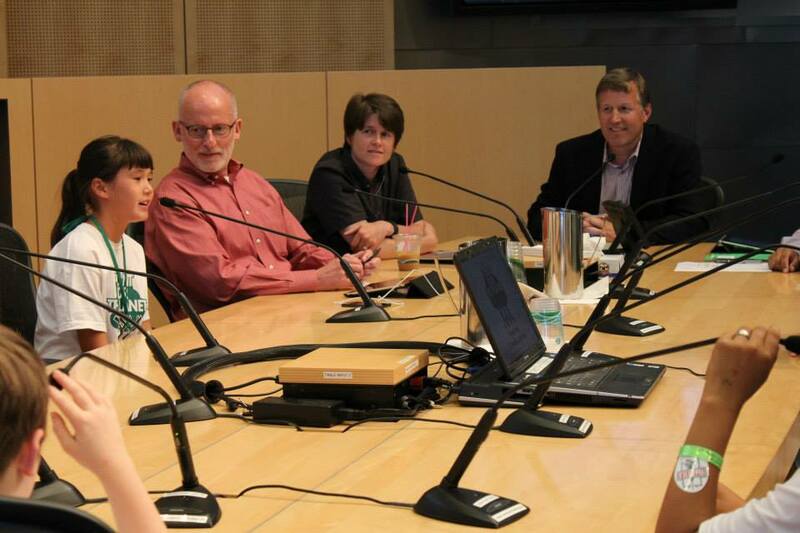 Tuesday July 9th 2013, Seattle Climate Justice Ambassadors from Plant-For-The-Planet met with the City Council Energy & Environment Committee for a slideshow presentation and Q&A. 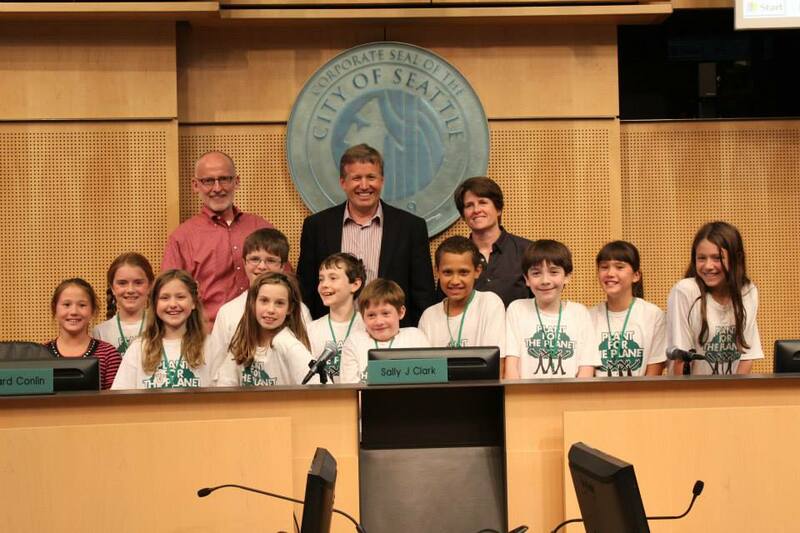 Seattle City Council’s Tim Burgess, Mike O’Brien, and Sally Clark heard the 20-minute presentation during the Energy & Environment Committee meeting and posed for a photo afterwards with our Ambassadors, (L to R) Thalia, Rose, Pia, Nicky, Iris, Gabie, Stella, Zack, Bubba, Sophia, and Zoe. In the presentation, Sophia described the history of Plant-For-The-Planet worldwide. Bubba gave the first part of the slideshow, on how children once thought that global warming was about polar bears, but now it’s impacting people all over the world. 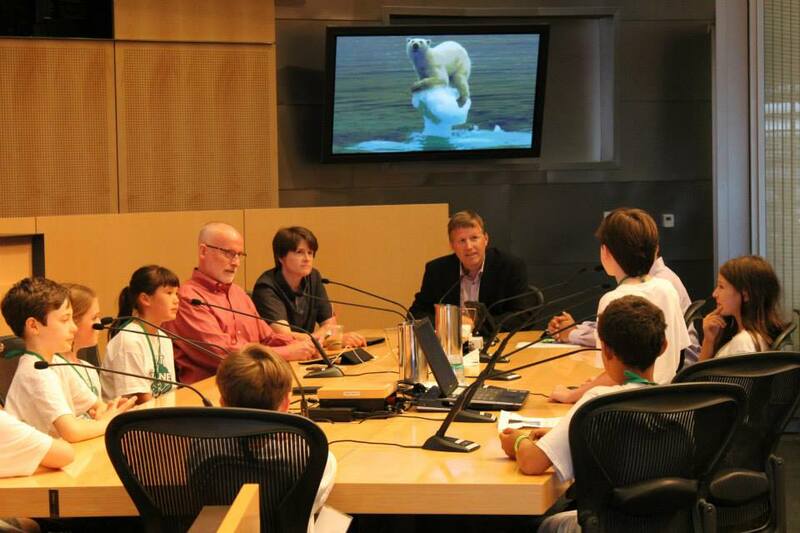 Nicky described how melting ice leads to melting permafrost, which releases methane, further warming the planet. Zach showed the maps of the world where pollution, wealth/poverty, and population concentrate. Gabie explained current research on how much CO2 we must reduce, and how we need to make drastic changes before he graduates high school in 2020. Rose illustrated how much more CO2 the average American needs to eliminate vs. people living on other continents. Zoe shared the 3-Point Plan. 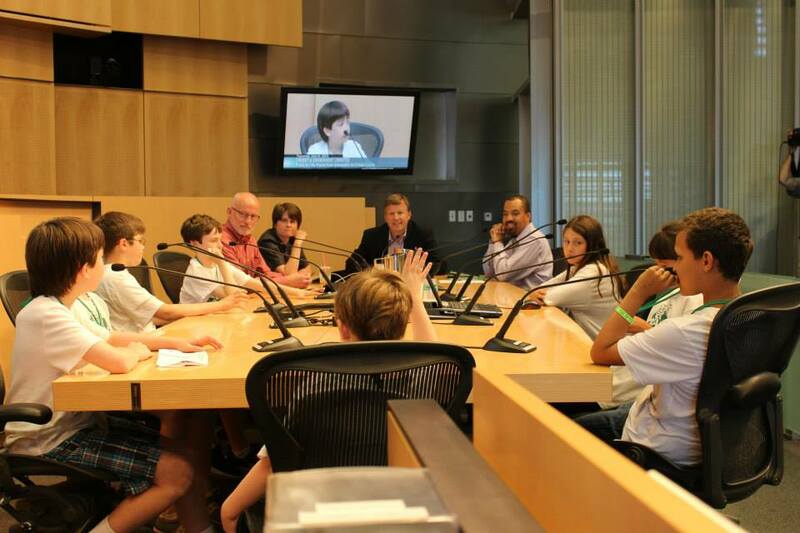 And Stella told the council how many trees Seattle needs to contribute to plant our fair share.